An attorney asks you to review a case involving a 40-year-old man who fell on a sidewalk and sustained a traumatic brain injury. His CT Scan showed a small right- sided subdural hematoma. He was taken to the ICU and given supportive care including serial neurologic exams. You are asked to perform an analysis of this traumatic brain injury case. The attorney asks you questions about the nursing care rendered to the patient on the night of his surgery. Did the nurses provide care in a timely fashion? Did they meet the standard of care? What is the standard of care? 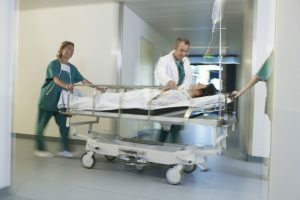 Falls are common reasons for lawsuits. Whether they occur in the community and within healthcare facilities, legal nurse consultants are essential for helping attorneys to understand the medical issues. What can this six hour long course do for you? 1. You’ll learn and retain more in the course than you can imagine. Gain insight and practical tools about how to analyze a head trauma case. You will gain skill in reviewing facts of a fall case and learn from expert witnesses who have reviewed hundreds of cases. 2. You’ll learn skills and techniques you can use immediately. The course is not full of dry theory; it is a fast paced, comprehensive way to learn practical, useful information. course you’ll be able to watch the replay and review the transcripts whenever you want. 4. Earn 8 contact hours. The option of nursing contact hours for relicensure or recertification can be obtained for a nominal fee of $15. Enjoy the convenience of virtual learning from the comfort of your home or office. Order this course at http://LNC.tips/fallscourse and use the code Listened to get a 25% discount. Pat Iyer has been a legal nurse consultant since 1987 when she first began reviewing cases as an expert witness. She achieved national prominence through her texts and many contributions to the legal nurse consulting field. She uses all of the tips in this podcast to get control of her LNC office.